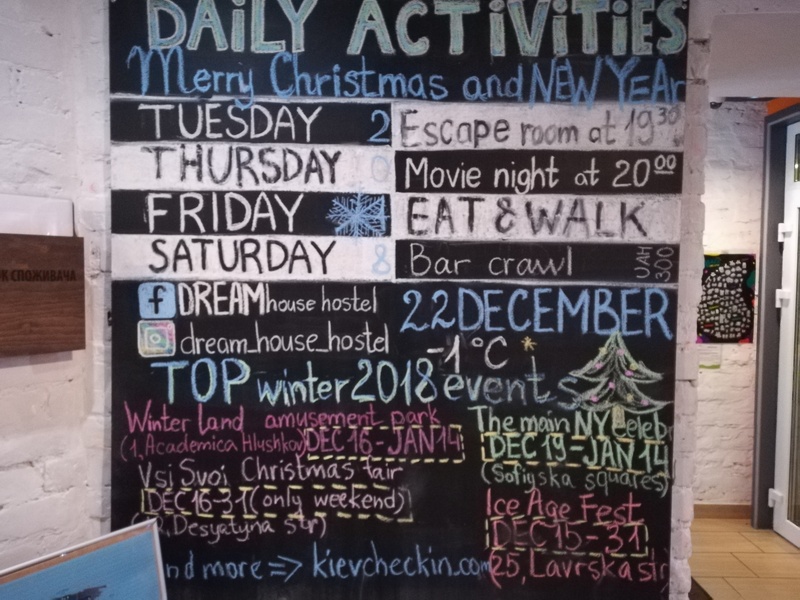 I arrived back in Kiev for the 3rd time recently and stayed at Dream House Hostel, located directly on Andriivs’kyi descent. 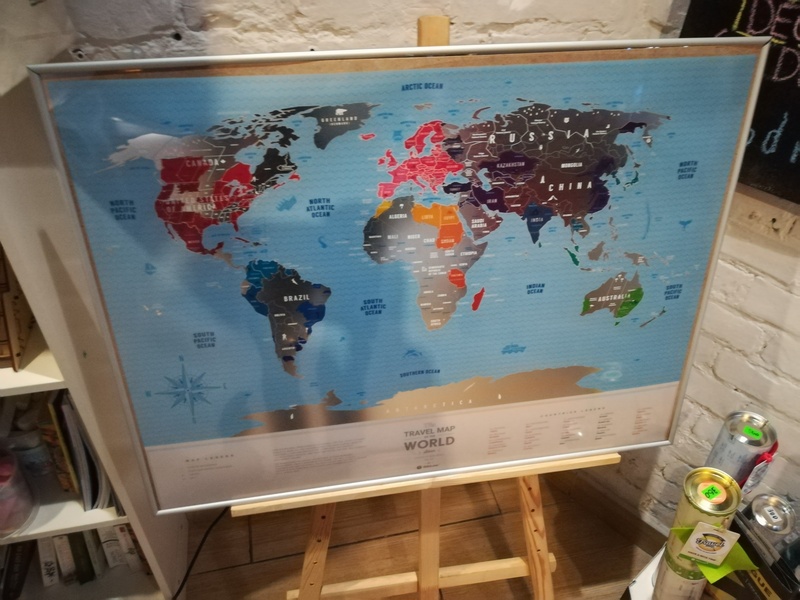 Dream Hostel have 9 hostels in 3 countries – Ukraine, Poland and Slovakia. If you are travelling in this part of the world, they are a great option. 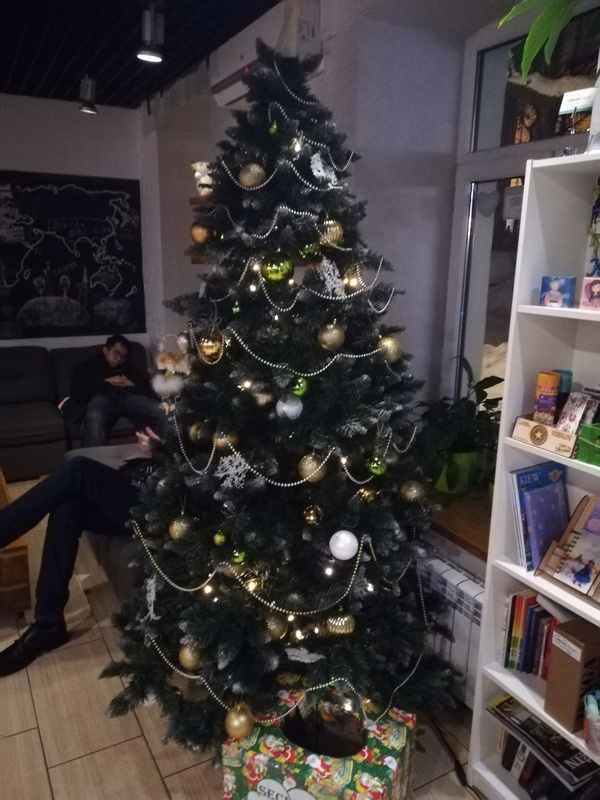 Read on to discover why I think they are the best hostel in Kiev. The hostel is located right on Andriivs’kyi descent, one of the main tourist sites in the city. The street was a little quiet when I visited in December as it snowed heavily but during the summer months it is full of souvenir stands, artists and art galleries. 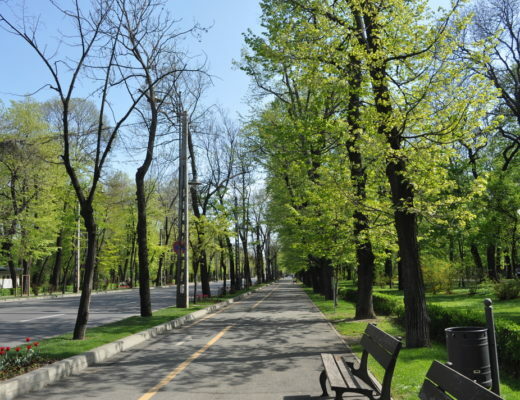 A ten minute walk will get you from the hostel to the two nearest metro stations, Poshtova Ploshcha and Kontraktova Ploscha. Both of these stations are on the same metro line, just one/two stations away from the centre of the city itself. 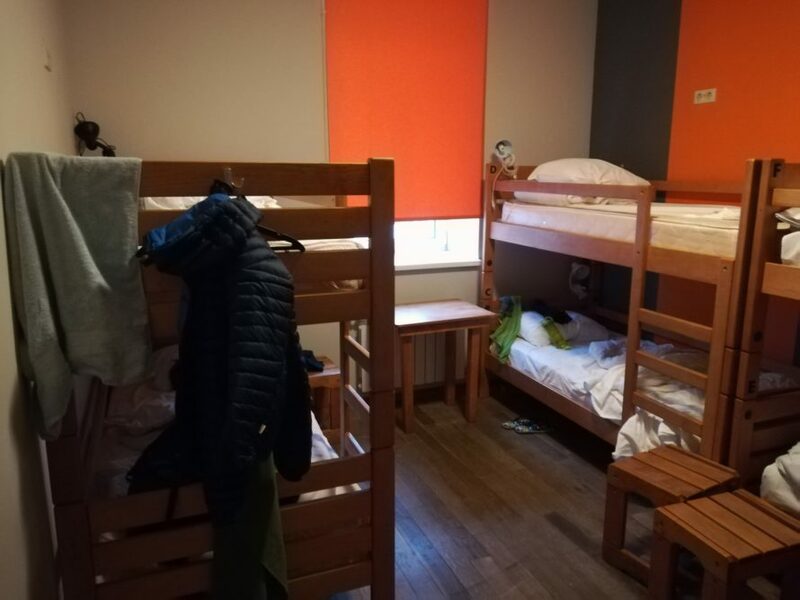 I stayed in a 6 bed dorm which I found to have plenty of room and wasn’t too hot or too cold. 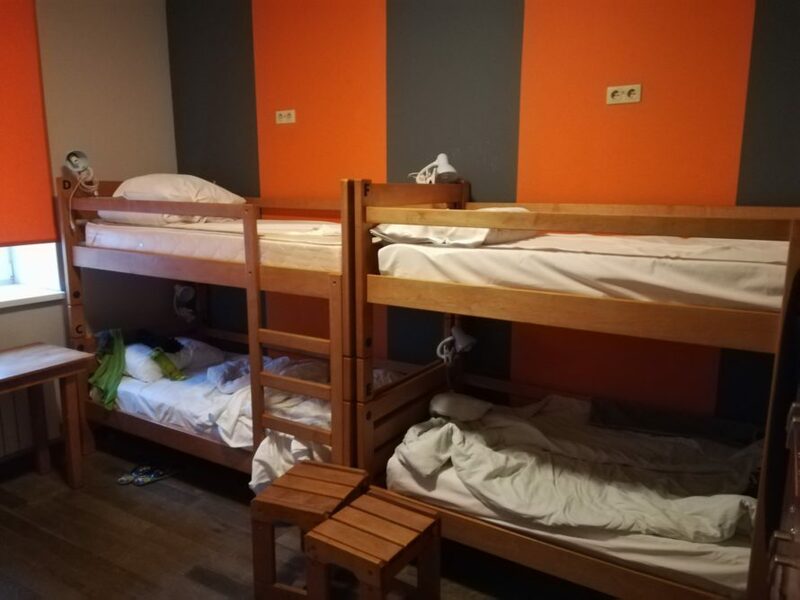 The beds were also very comfortable and as you can see from the photos below, the bunk beds are ‘solid’ , which is more than I can say about some hostels I have stayed in before. I am also pretty tall at 6 foot 2, or 188 cm if you prefer, and I was easily able to fit in the beds without my legs poking out the end. 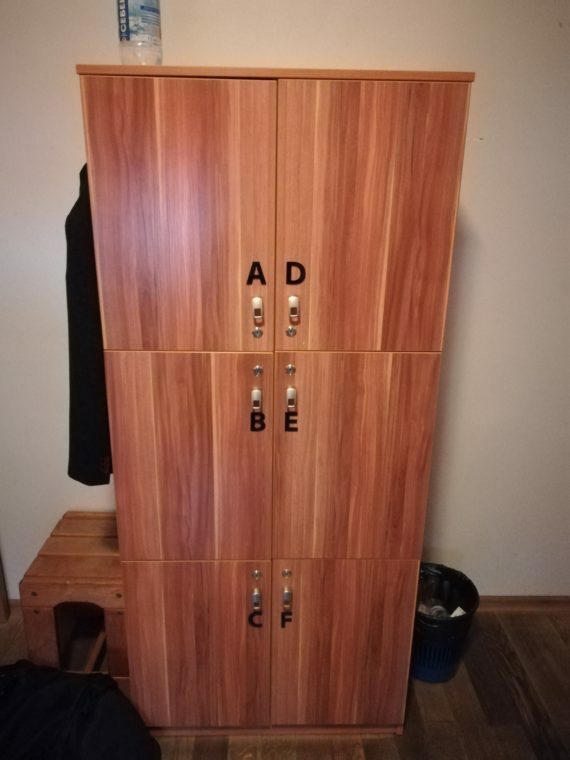 The storage lockers in the rooms are very generous. I was able to store my main laptop bag which contains all my electrical cables, USB hard drive, books for reading and bits and bobs. Basically all my non clothing items. I think I could have fitted my 45 litre backpack into the locker if I tried. Have you ever stayed in a 6/8/10/12+ bed dorm room with only one shower to share? Not good at 8am is it?! 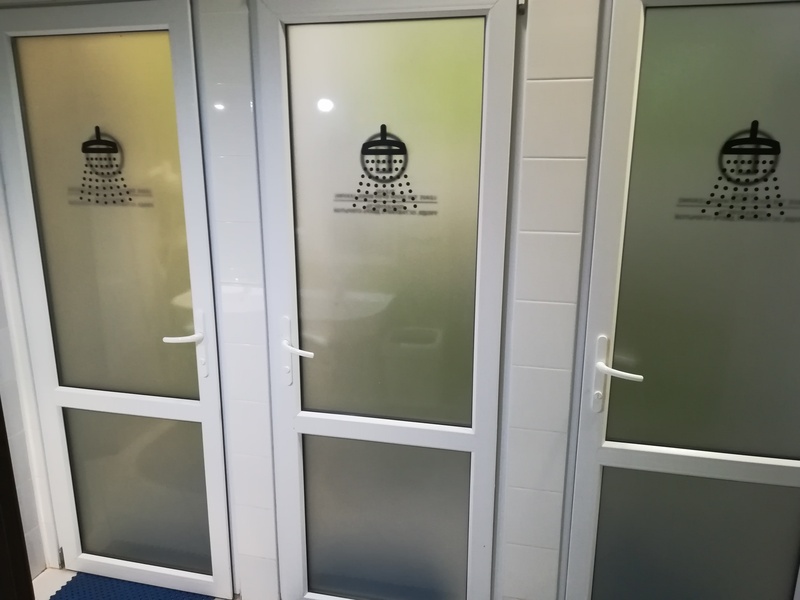 At Dream House hostel, there bathrooms contain multiple individual shower cubicles. I much prefer this system. No matter what time I was showering at, I never had to wait for a room to become free. If you need, you can also purchase some shower equipment – shampoo, toothpaste, toothbrush, towel etc… from the reception, which is a nice bonus if you run out. Every time I used the bathrooms, they were spotless. Dream House hostel has it’s own cafe/bar/restaurant called Druzi. I believe this translates as ‘Friends’ but I am willing to be corrected on this one! You can get breakfast here as well. If like me, you want to sit and do some work on your laptop, you will find that there are plenty of power outlets should your battery suddenly be in need of a pick me up. 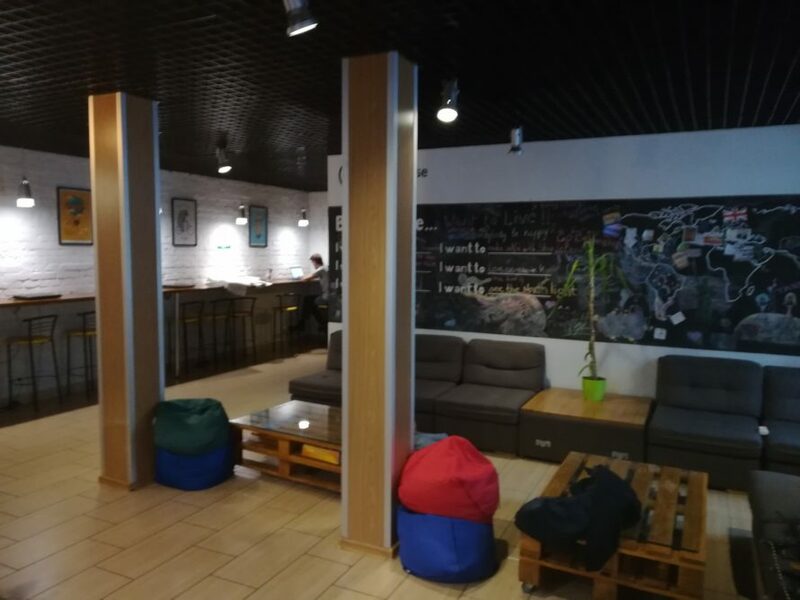 It is always nice when a hostel has its own cafe/bar area. It means that if you spend all day exploring the city and you don’t feel like going out again, you still have somewhere where you can relax. The staff here all spoke good English and menus are available in English as well. The food comes out pretty quick, is tasty and at good prices. 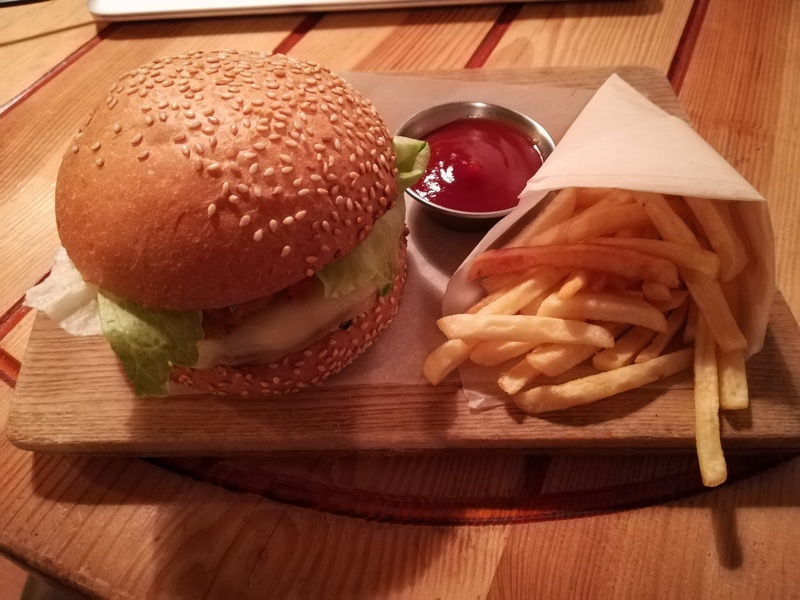 The burger I had below cost me 130 UAH which is roughly £3.50. One thing I haven’t mentioned so far is the staff. I have to say, I think the staff at Dream House are fantastic. 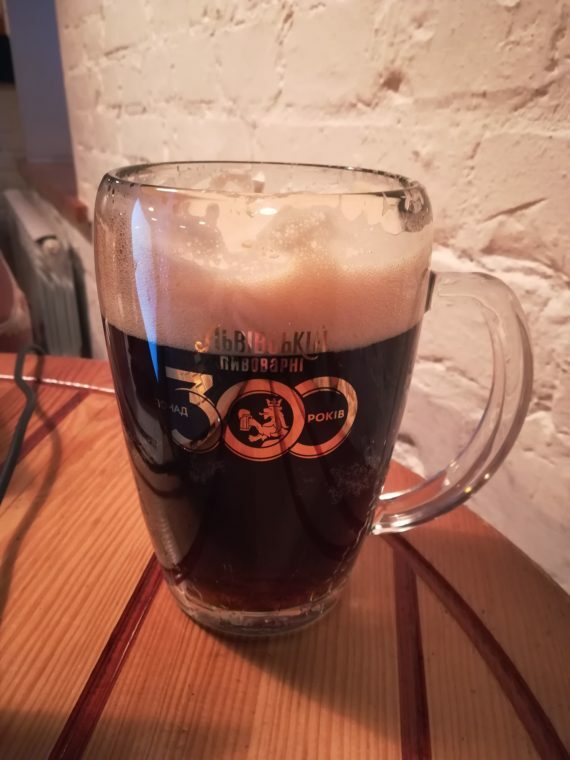 They are what truly makes this the best hostel in Kiev. 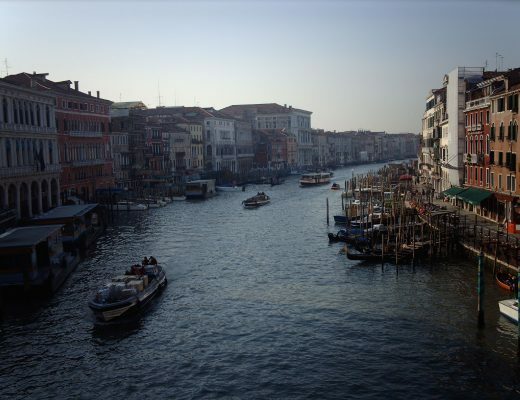 They were always polite and helpful and able to answer any questions that I had as well as giving tips and suggestions to other guests and booking taxis etc… I honestly cannot say any bad things at all about my time here. I know when I come back to Kiev exactly where I will look to stay. 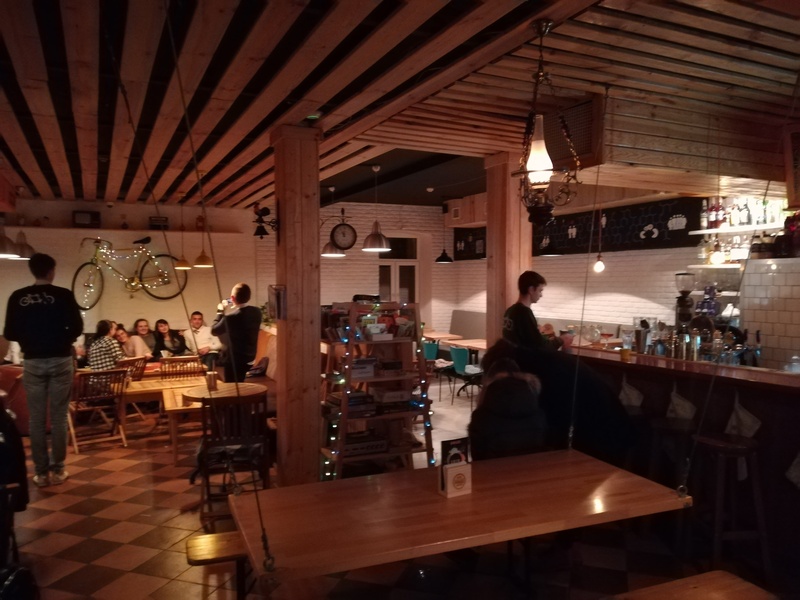 If you are interested in staying at Dream House hostels, then you can find their website here as well as Facebook and Instagram. Tell them I sent you and let me know how your stay was! It really is the best hostel in Kiev! 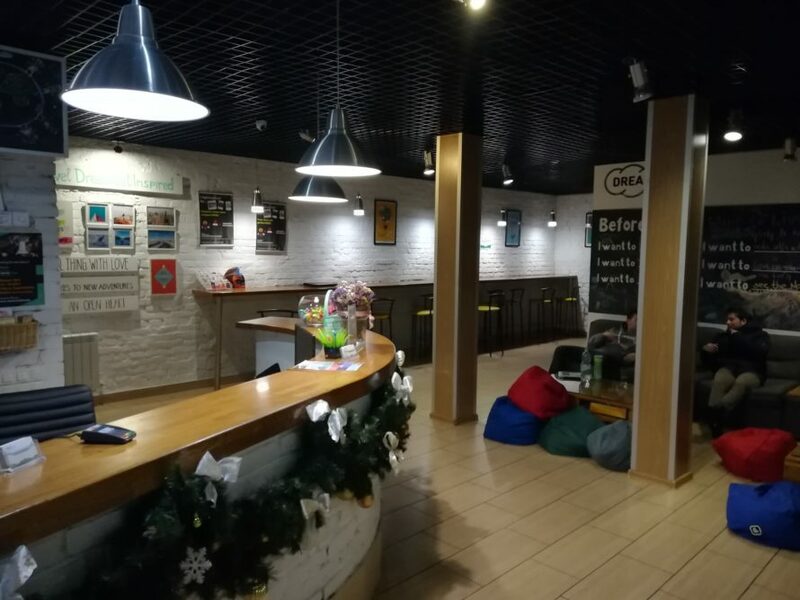 We recently stayed in a hostel for the first time after being hesitant for a while. It wasn’t bad at all, but we were hubby, a friend, and I inside a 4 dorm so not sure how it really is to be with strangers haha. However. This one here like comfortable enough and there lockers are great. I like that it has it’s own cafe too! I’m sure throughout Europe we’ll be using hostels more often. I’ve always been hesitant about hostels, but this is enough to start to change my mind. What a cool place! That downstairs common area looks like a perfect place to meet up with fellow travelers. Great review! I certainly got lucky with the weather. Though I would have preferred to be able to get to the hostel before the snow started. Its not so much fun traveling across a city with two bags in snow. 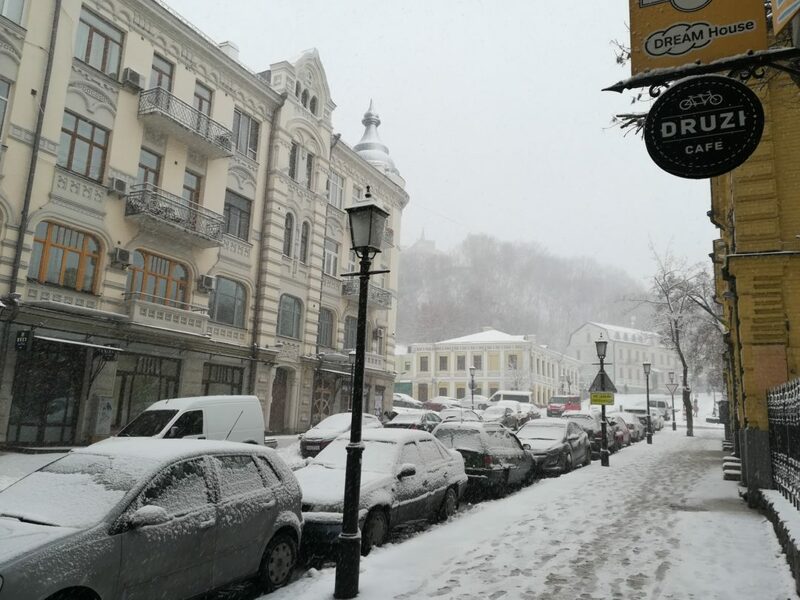 Kiev looks very white for Christmas. It takes a hearty soul to brave the elements for their walking tour. I would love being able to come back to my pad for a warm bite to eat at a price I could afford. I am with you on that one. Kyiv was a little cold. Russia on the other hand is on a different scale all together. I find myself day dreaming about warm beaches almost all day! This hostel looks so amazing, cozy, nice and very intriguing. I have never actually stayed in a hostel, but this looks like one I would definitely love to try to stay in. Your pictures are stunning, thank you for sharing. Thank you very much. I can certainly recommend this hostel. They also have private rooms too. This looks like a great option, thanks for the info! Do they have private rooms as well? 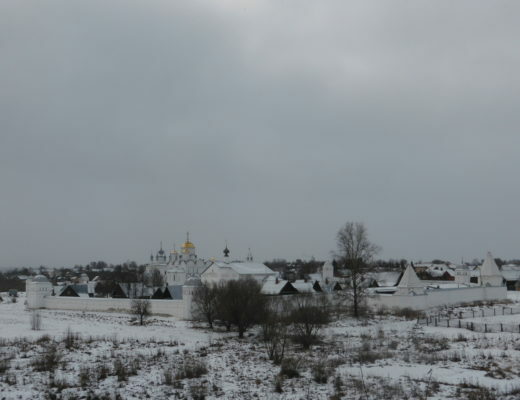 I’m hoping to explore more of Eastern Europe this summer and Ukraine is definitely on my radar! They do indeed! Ukraine is a great place. And also insanely cheap for western people. Fantastic review and I would consider staying here if I ever get to Kyiv again (been there twice already). Love staying in the hostels over there, always a good party atmosphere.